There will be some changes in South Korea's tour and travel market as one of the globally operating local business groups Lotte recently joined the industry. The existing tour and travel companies including Hana Tour and Mode Tour are worried that the cash-rich Lotte with the global network will dominate the already saturated market. Lotte Group's offshoot "Lotte.com" recently established Lotte JTB in partnership with JTB (Japan Travel Bureau), one of four majors travel companies in Japan. As a consequence, major local travel companies including Hana Tour and Mode Tour are calling for emergency meetings to ward off the onslaught of the business goliath. In actuality, the prices of the tour and travel-related stocks showed weak signs for some time on the news of Lotte's advancement into the market. Currently, the local tour and travel market is dominated by four major companies: Hana Tour, Mode Tour, Freedom Tour, and Lotte Tours (different from Lotte.com). The four account for some 80 percent of the market share. The rest of the market shares are taken by some 10,000 small- and medium- sized travel agents. "The root of the travel industry will be uprooted once the elephantine Lotte joins in it," worked a travel agent who refused to name himself. Even Lotte Tours is equally apprehensive about the aftereffects of Lotte Group's joining. 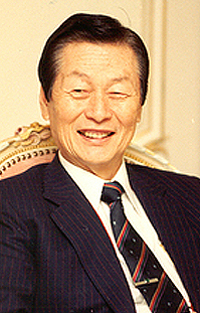 Lotte Tours is run by Kim Ki-Byung, husband of the youngest sister of Lotte Group founder Shin Kyuk-Ho. Lotte Tours is not connected to Lotte Group in share holding relations, even if it uses Lotte's brand name. So far, Lotte Group has been involved in only hotel and circulation businesses with the exception of Lotte Tours. Meanwhile, keen attention is paid to Samsung Group as its branch Everland Resort showed its interest in travel and transportation businesses.